Just a few minutes away from downtown LA! 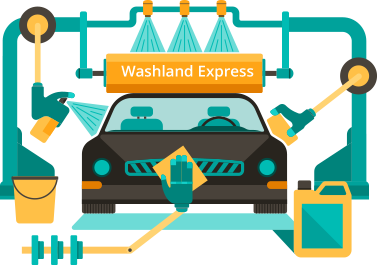 With its Grand Opening in August 2014, at Washland Express our advanced technology and equipment combined with our use of environmentally friendly products make it affordable, fast and convenient to take great care of your vehicle and the earth! On arrival, you’ll notice our friendly and professional staff will greet you and guide you through the simple process. You don’t even have to get our of your vehicle, all you need to do is drive up to the automatic teller (we accept cash, debit and credit cards), choose your wash, put your car in neutral and relax. We’ll do the rest! We wash your vehicle’s exterior, wheels and whitewalls with gentle yet powerful foam/cloth washers and mild cleaning solutions that will not scratch or chip your car. Next, we use a high powered blow dryer to leave your car fully dry without the use of harsh towels that can leave scratches on the paint. So enjoy your all-automatic wash and be on your way in 3 minutes or less! 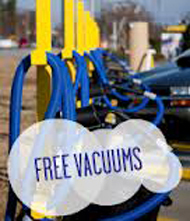 "Free Vacuums with All Washes"
Just purchase a micro-fiber towel and we provide you with a clean towel every time you bring it in to get a wash.
Just got the top wash. Great brand new car wash. Super clean car and comes out dry. No waiting to get your car cleaned. Took only a few minutes. No waiting in line. Love it. Love the free vacs. Did the whole car and truck as well. The best return on an investment you can make to your automobile! No more worries about the weather forecast. 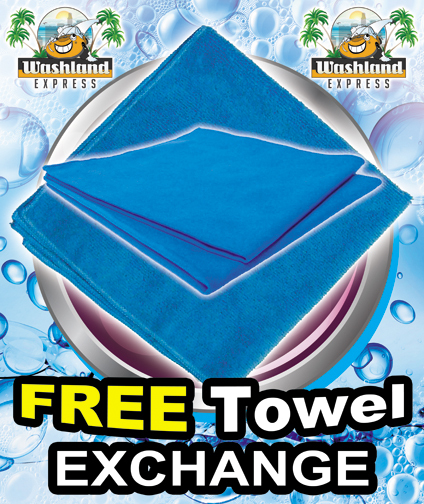 Wash the harmful and corrosive elements from your car often, for one low monthly price. Unlimited washes and convenient access with a dedicated express lane for club members. Hassle free payment-automatically billed on your credit card each month, unless cancelled by you.